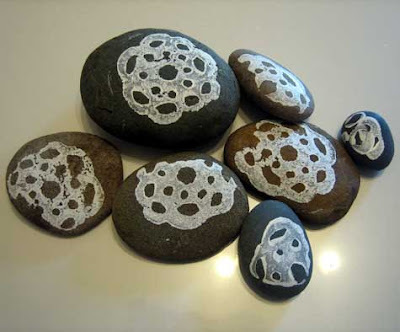 I found this easy Pebble Rock Project at Design Sponge. This would be a little less time consuming if you used existing stamps. 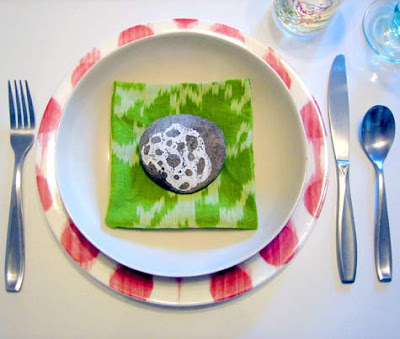 These were made using a linocut stamp kit including linoleum and cutting tool. Find the complete instructions here.